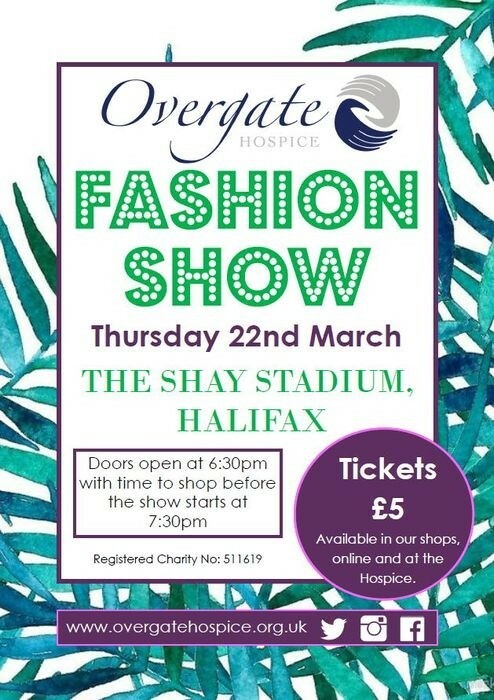 This year the Overgate Hospice Spring/Summer Fashion Show 2018 is on Thursday 22 March – from 6.30pm at The Shay Stadium, Halifax, HX3 0AQ. Doors open at 6.30pm so arrive early to shop before the show which starts at 7.30pm. Tickets cost £5 each and can be purchased in Overgate shops, from the hospice or online from the Overgate website.